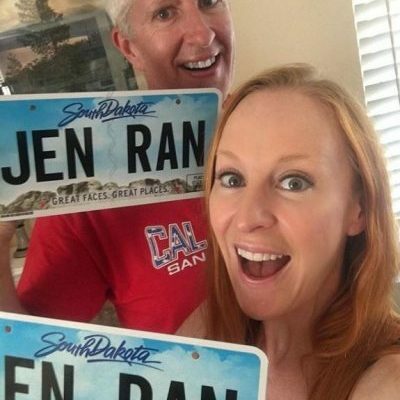 We are now officially South Dakota residents… and will be for the next few years while we travel the country. Why South Dakota residents? Read on. If you are planning an extended trip or full-time living in your RV, you need to have a permanent residence (including a street address; not P.O. Box) for banking, voting, receiving mail, and the like. If you own a home and are not selling it, and/or if you have a reliable relative who will let you use his/her address as your permanent residence, you probably have no need to read any further. This post is for those of us who are cutting all ties to our former lives and living on the road… in these cases, we still need a permanent address. 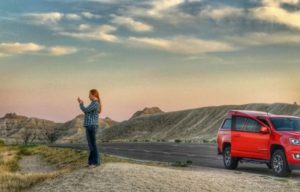 For adventure travelers like us, we have three RV-friendly states in which to “relocate” while we are on the road: South Dakota, Texas, and Florida. All three of these states have no state income tax and they make it easy for RVers to establish and maintain residency. They also all have mail forwarding services that provide the required street address needed for permanent resident status — and, of course, which will forward any important mail to you wherever you are on the road. We chose South Dakota for many reasons, including its natural beauty. We spent a week there in August establishing our residency (which simply requires proof of at least one night in a South Dakota RV park or motel), getting our new driver’s licenses, registering our vehicles, and getting new auto and RV insurance; the process was simple, low-cost, and the people great. We loved our time in Sioux Falls, Badlands National Park, Mt. Rushmore National Memorial, and exploring the Black Hills… and we will be back “home” again in 2018, with a more extended stay. Take time to do your research, and choose a state most convenient for you… and we will see you on the road! Only 12 weeks until the adventure begins! Previous Post:We Have the Trailer: 15 Weeks to Go!